So yesterday someone asked me, ‘what is the national meal of your country?’ To be honest I did not understand the question. It was not that it was my first time of being asked this trick question the problem was that it was the first time I had began to think about the political and social implication of what I said next. Coming from Western Africa, Nigeria precisely there are a range of different cuisines. I dare say the number of dishes number into triple digits. What most people don’t realise is that it is such a huge country with various ethnic group and tribes and some meals are tribe-specific. So going back to answer the question ‘what is the national meal of your country?’ I’m not sure what my response should be. 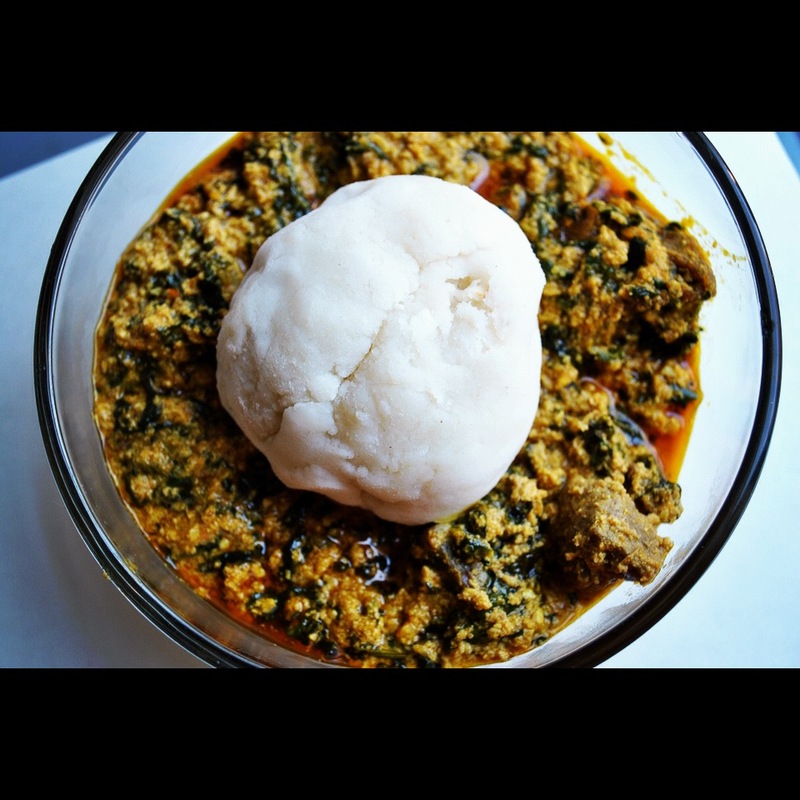 Should I say it is Egusi soup and pounded yam*- surely it is not every Nigerian who would agree with me, those from Lagos might be happy with that but what about those from Kano or Warri. What I have observed though is that in as much as there is such a variety of delicacies, there are a few delicacies that resound in parties and events that no one can say with full certainty what tribe they come from. 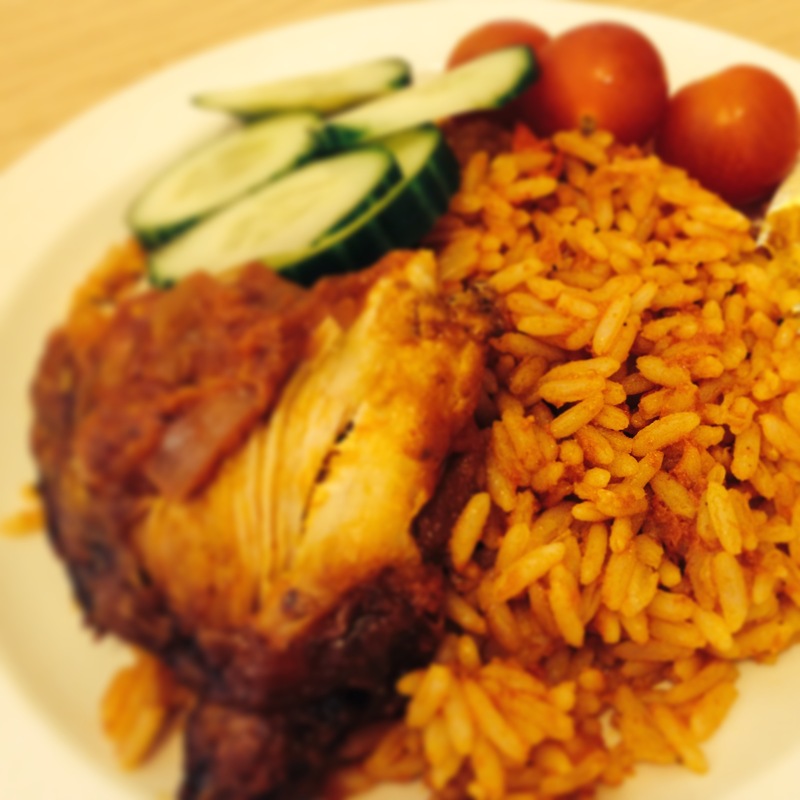 The meal jollof rice for example is a staple food served generally in every Nigerian party. However, I would be wrong to say it is Nigerian because I have noticed that it is eaten across West Africa and beyond. History further reveals that jollof rice has its origin in Senegal as it was named after the Wolof people who loved to make stewed rice. The question though is, Can I be reasonably politically correct if I said jollof# is the national food of Nigeria? On the surface I might be correct to say that but upon closer examination I wouldn’t. Looking at the definition of ‘National food’, Wikipedia reveals that ‘it is a meal or snack that is indigenous to a particular group or country’. So for example I could say Sunday roast is England’s national food but I would be wrong to say it is fish and chips (don’t freak out!). Even though fish and chips is a long held friday English traditional meal it is of Italian decent and so would not fall within the definition of a national meal. What this means basically is that I would also be wrong by extension to say that jollof rice is Nigeria’s national meal since it’s origins are not Nigerian. The question I should thus be asking is ‘does Nigeria have a national meal?’ I would say No. The correct answer would have to be that Nigeria has regional meals. Do you agree with me? I agree this is a controversial subject and I would love your take on this. Feel free to drop me a comment in the box underneath. If you are not Nigerian I would love you to share the national meals (if there really is one) of of your country. Don’t forget to like and reblog!